Did you know there are still bargains to be found on waterfront property in Crystal River, Florida. Waterfront property of every kind is available in the Crystal River area. Many spring fed rivers criss-cross the area including the Crystal River which runs into Kings Bay, a popular recreational boating spot. Kings Bay in turn runs out into the Gulf of Mexico, which offers excellent salt water sport fishing. Popular in recent past as a small, sleepy fishing town, Crystal River has grown up offering craft beer pubs, sports bars, waterfront dining, movie theaters, and the historic downtown district with lots of unique shopping and antiques. Yet Crystal River has managed to maintain a small town feel, people still know each other here and waive in passing. No one is a stranger for long in Crystal River. 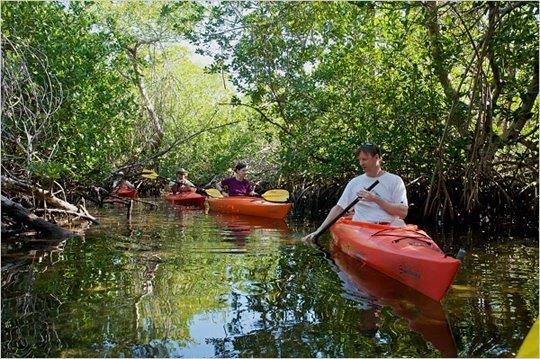 All one has to do is tour Kings Bay and the Crystal River to marvel at the magnificent bay front homes and riverside properties that characterize the town of Crystal River. 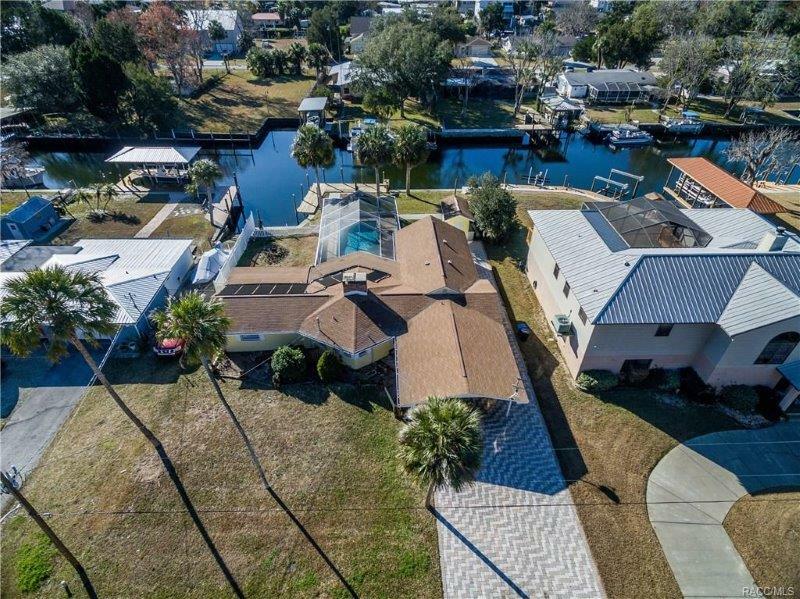 Large waterfront estates with equally impressive boats and docks as well as older more modest waterfront getaways are plentiful in Crystal River. And yes compared to many Florida waterfront communities, the prices here are still reasonable. The most popular attraction to Crystal River is still the manatees and mother-nature herself featuring Three Sisters Springs. The many spring fed rivers maintain a constant 72 degrees all year long proving an inviting home to the gentle manatees during the cooler winter months. Mistaken as mermaids by early sailors, these once endangered mammals are making a comeback, thanks in part to the support of the local residents and the City of Crystal River. The Crystal River waterfront is dotted with many dive shops and boat rentals which offer guided manatee tours or you can rent a pontoon boat and go exploring on your own. 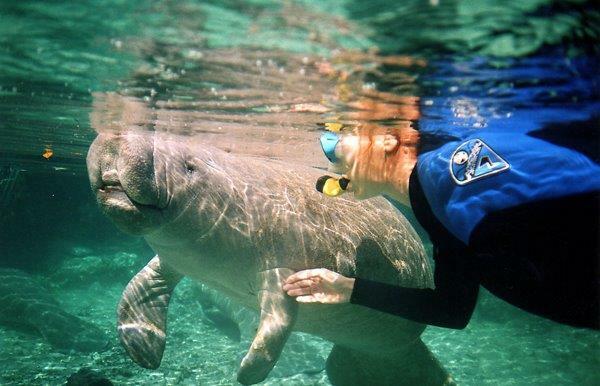 One of the most exciting adventures in Crystal River is a manatee snorkel tour, where you can swim with the manatees. 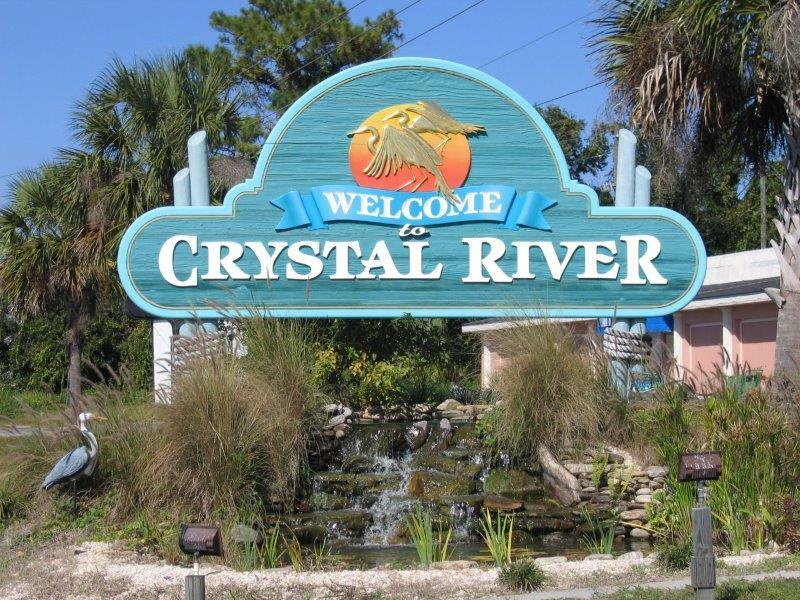 Let All Citrus Realty help you learning more about the various communities and homes for sale in Crystal River.